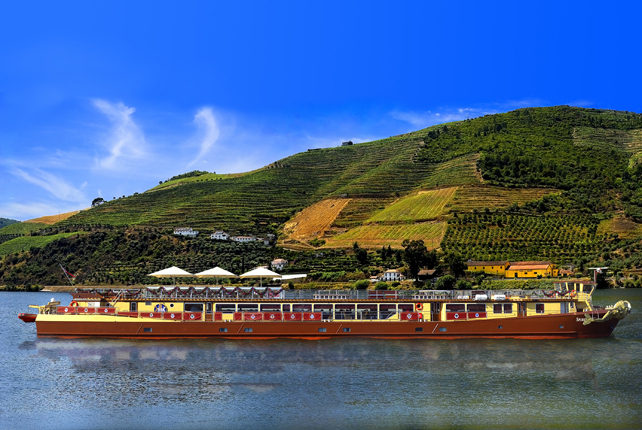 The Spirit of Chartwell defines luxury Douro River barge cruising and sets the standard for service and quality. Very recently designed and refurbished for, and used by, Her Majesty The Queen's Diamond Jubilee, the Spirit of Chartwell offers select travelers a cruise experience worthy of its Royal Heritage. The finest interior furnishings, the impressive amount of space, and the high number of staff members per guest, create an elegant, club-like atmosphere for experienced travelers; an environment where every need is predicted and promptly attended to during the calm passage through the majestic Douro River Valley.